Melt one bag of the chocolate morsels slowly in a double boiler, or over a pan of simmering water, stirring often until chocolate is completely melted. Line an 8×8-inch baking pan with waxed paper, leaving several inches of the paper hanging over the side to make it easy to remove later. 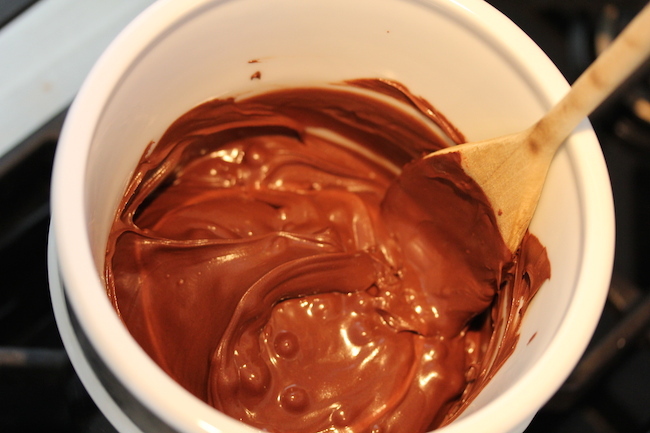 Pour the chocolate into the baking pan and put in refrigerator for 30 minutes until chocolate is hardened. Chocolate should not be more than ¼-inch thick. 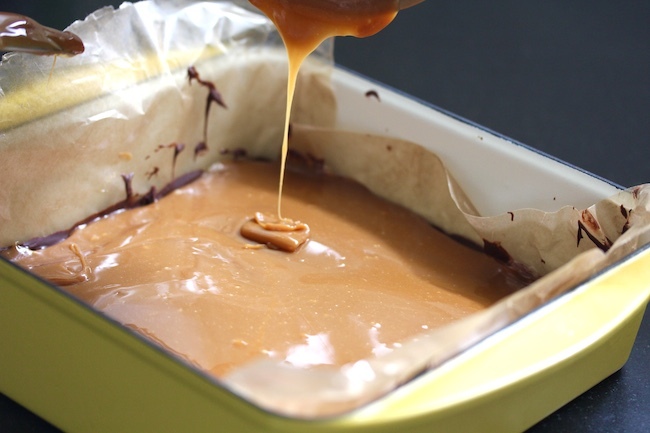 While chocolate is in the refrigerator, unwrap the caramels and melt slowly in double boiler, stirring often. Allow caramel to cool a bit. 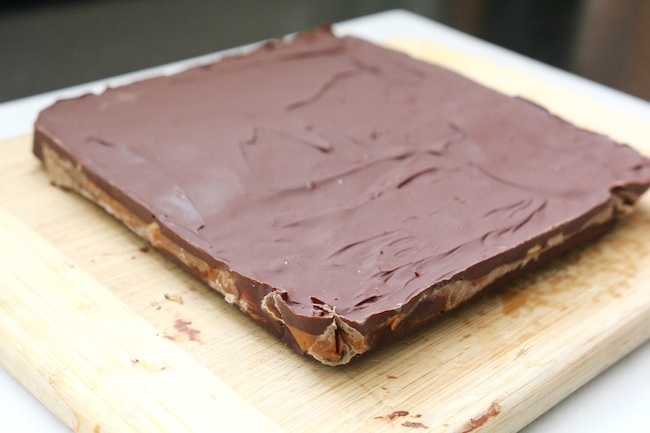 When chocolate is hardened, pour a thin layer of caramel over the chocolate, not more than ¼” thick. 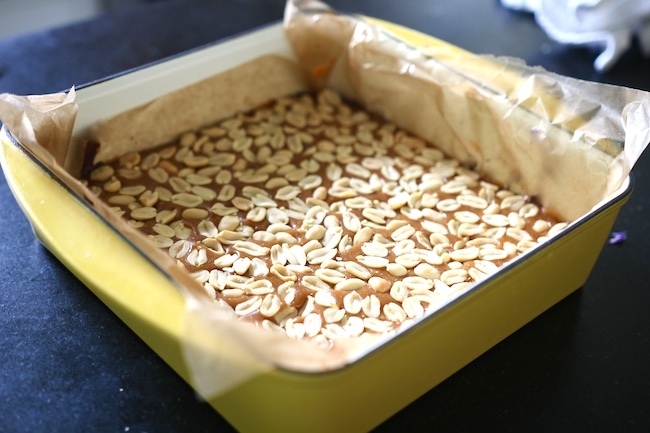 Place peanuts thickly on top of caramel and put baking pan back in refrigerator for caramel to harden. Melt remaining chocolate in double-boiler. 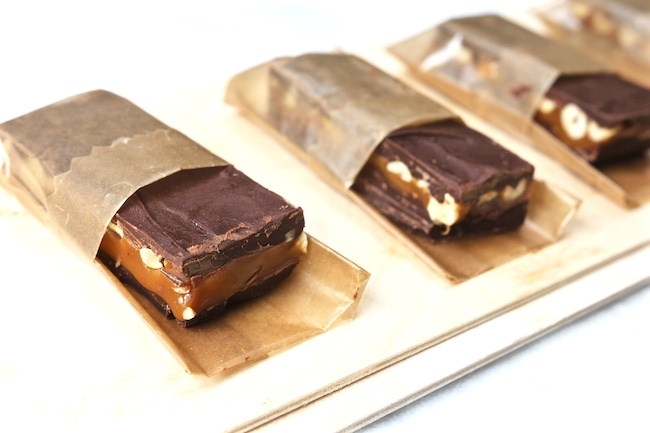 Remove baking pan from refrigerator and using the waxed paper hanging over the sides of the pan, lift the block of candy out of the pan, and place on a cutting board. Remove waxed paper and cut candy into desired pieces. Store in refrigerator to keep candy fresh, but give it ten minutes to cool before serving.